All Too Human is a diverse band based in the United States and comprising Clint Walker (lead guitar), Maurice Taylor (bass), Chris Lucci (drums) while exercising his vocal chords (we have met him previously, for instance, on ‘Airs’ and in Images Of Eden and Orphan Project) is Gordon Tittsworth, whose recorded debut with the band this is. Two earlier self-produced and self-financed albums, ‘Entropy’ (2004) and ‘Forever And A Day’ (1998) each had different vocalists. Keyboard flourishes on several tracks are provided by Cristian G.van Schuerbeck who performed live with the band when they appeared at ProgPower Europe in 2004 and is still associated with them. 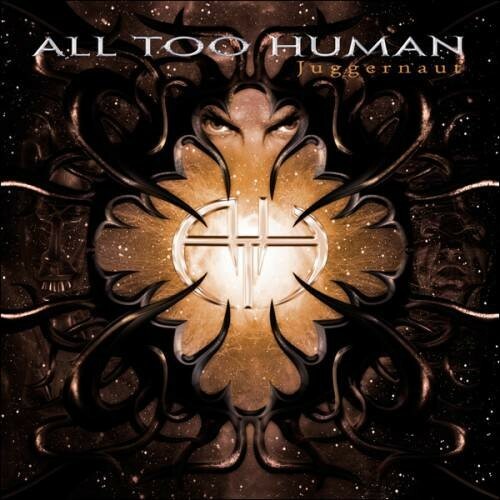 On ‘Juggernaut’ we find the band very much in progressive metal territory and the ten tracks (including a remix of the amazing 8-minute instrumental ‘Arrythymia’ from ‘Entropy) is something of a tour-de-force by the band and one that can be recommended to those of you who find succour in the genre. The title track is first up, and as the shortest offering here is a buoyant, crunchy, riff-infused song, and even has some vocal roars (settle down: they do not appear on any of the other songs!) before settling into an infectious groove. ‘Thorn In My Side’ features a great vocal performance from Tittsworth (indeed, it is excellent throughout) and this song highlights a Kings X meets Symphony X vibe that is also discernible on some later numbers (both vocally and instrumentally). ‘Rumble’ is a snarling monster of a track, but incorporates some widdly guitar moments to otherwise alleviate its intensity. ‘Ruffian’ is another pummelling riff fest, but includes an unexpected and quite blessed synth section! ‘Cut Me’ is one of the album’s standout tracks and second longest, and in true prog metal style keeps the listener paying attention with its myriad tempo and stylistic changes. For me, however, closing the track with a great guitar solo that fades is an utter travesty! ‘Never Enough’ also inexplicably fades after providing a wonderful power/prog metal master class. ‘Burden’, one of the more melodic and mellow numbers is yet another track brought to a conclusion with a fade; I really do feel there was more to be developed here. The wonderfully titled ‘Insurgent’ is just that; one of the heaviest tracks, it worms its way into the consciousness while ‘Catharsis’ is not quite the antidote to the preceding tracks its title might suggest. Instead it’s another fascinatingly successful prog metal maestrom with lots of ideas thown into the melting pot: and is another standout – as is the 2012 remix of ‘Arrythymia’ that rounds off the album. 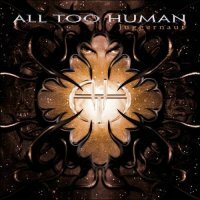 ‘Juggernaut’ is currently only available digitally (look at www.alltoohuman.net for details) but I understand the band is hoping to attract label interest for a physical release. It’s got an excellent production and notwithstanding too many tracks unnecessarily (in my opinion!) ending with a fade, has much to recommend it.